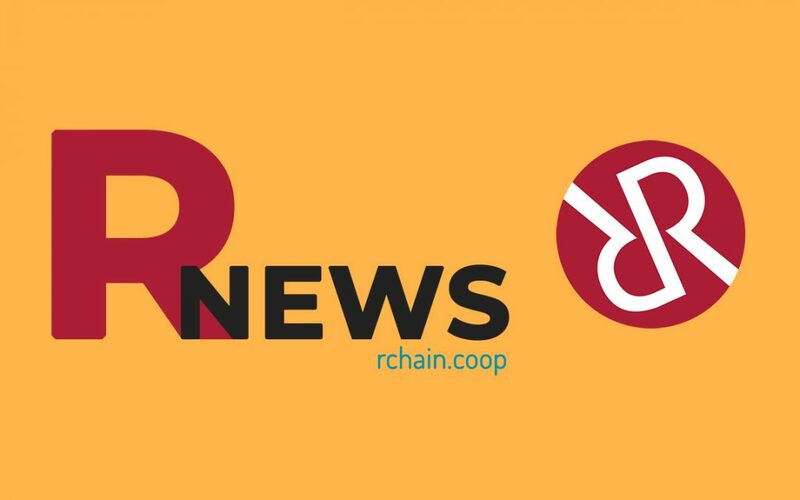 Recently, an article was published regarding the state of RChain. It describes the sentiments of unnamed sources speculating on past decisions and the co-op’s future. We are grateful for this opportunity to discuss these topics. Welcoming skepticism and engaging in dialogue are essential qualities of our organization. That’s the very nature of the co-op model and why we chose this form of governance. In fact, all of the topics expressed in the article have been actively discussed by our 1,700+ members in our Discord and Telegram channels for months. The “crypto winter” has taken its toll on a number of blockchain businesses, RChain included. But anyone working in blockchain development can vouch for the integrity of our platform. We’ve consistently been a leader in Github commits throughout 2018. Our CBC Casper model provides a new standard of security for the core protocol, and we are the only project providing correct-by-construction security measures for user-defined contracts. For smart-contracting platforms, the vast majority of the security exposures, as has been evinced by numerous exploits against Ethereum contracts, will arise at the user-defined contract level. As we achieve three orders of magnitude performance improvement on proof-of-work chains, these security measures will be essential. A single error in a user-defined smart contract, like the one exploited by the DAO attack, running on a blockchain clocking 40K txns/sec could bring down the entire network in a way that no manner of hard fork could resolve. Given all of the privacy and security problems occurring in our digital lives, we remain committed to building a secure and scalable blockchain solution and, despite speculation by unnamed sources, we are still moving quickly to reach Main net. That said, we would like to point out factual errors presented in the article. Being that transparency is integral to our governance model, we would like our growing community to know exactly where we stand on these and all issues. RChain Cooperative is not bankrupt nor even close to bankruptcy. We have restructured our deployment of capital assets to focus almost entirely on development. Likewise, we have eliminated less productive efforts, such as an underperforming marketing team. Most importantly, we brought our development team in-house in advance of the date planned for that event. Our core platform developers now work directly for the co-op. Medha Parlikar was not our lead developer; she never held a position with the Cooperative. Her role while working with Pyrofex, one of our development partners, was Program Manager. Her contract at Pyrofex ended and she took another opportunity. It was stated that three board members “quit” alongside Medha. This is not true. The one-year terms of three board members expired. We held a general election in October for board members and constituted a new board, per the Cooperative’s bylaws. Two board members declined to accept those positions for various personal reasons. The characterization of both our liabilities and tax estimation is incorrect and grossly overstated. Accurate information is published in our GitHub repo. We will continue to publish our financial reports on schedule. Pithia was never “loaned” RHOC. The signed partnership agreement is on GitHub for members to review. RChain does not have investors, as per the co-op model. We have members. We never had an ICO. This misstatement has been corrected, yet it was initially reported that we did. At the heart of RChain we find an open-source, secure, scalable blockchain platform that runs a correct-by-construction concurrent smart-contracting execution engine. The computational model underlying that engine is exposed to developers via Rholang, a programing language uniquely suited to providing concurrent computation on the blockchain. That is what we’ve promised since day one; that is what we are delivering. We welcome the opportunity to remind all who are interested in blockchain technology in general and RChain specifically that the stakes are high. In our attempts at building a community based on our open-source and cooperative model, criticism is inevitable. Those of us who understand the spirit of the development of the blockchain, and the Internet before that, know that we are engaged in nothing short of rebooting the global financial and compute infrastructure. We know that doesn’t mean we are engaged in a zero-sum game. We can work together; we must work together. RChain regularly and productively works with Ethereum researchers and other contributors to big projects in this space. There is more than enough work to go around. We have really exciting problems that are only going to be solved by working together. Once we address them, we can go after the next level of problems we are collectively facing, problems that blockchain platforms like RChain play a vital role in addressing. This is not to say that the road hasn’t been rocky as we have worked hard to build a new decentralized world compute platform from the ground up. Thanks to the robust community we have made great strides in 2018 and will continue to be the in the forefront of technical innovations in this new blockchain industry. If you’re coming to RChain for the first time, thank you for checking us out and we invite you to join us on this journey. If you’re already an RChain community member, you know you can always come to the Cooperative for transparency and dialogue. Thanks for clearing the confusion. Sounds like a hit job on RChain and it’s character. so well written! heartful communication and clarity of expression. This was written by snakes! We will prevail against the snakes that infested us. Drain the swamp! Where can we find data concerning developers hopping on bord?